Unfortunately, while Miss Sporty polishes do have names, they actually don't have them printed on the bottles, and only the numbers are. Not that it makes any difference for me, because I never remember the names of the polishes to begin with. I just go by color and effect (if any), and hope for a bit of luck when searching for it. 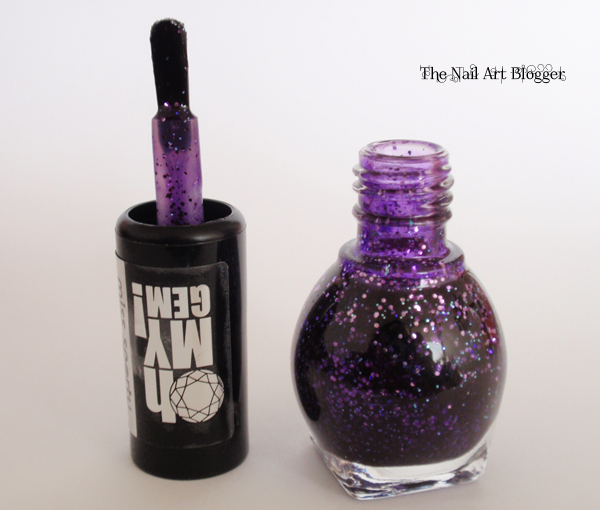 Which is basically what happened with one of the polishes in this post. I only remembered the color I've seen online, but no name or number. And it was the first that caught my attention, haha! 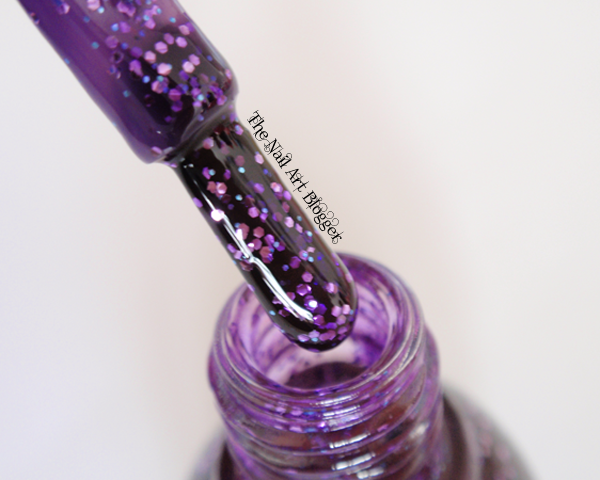 Let's get to the polishes of today's post. 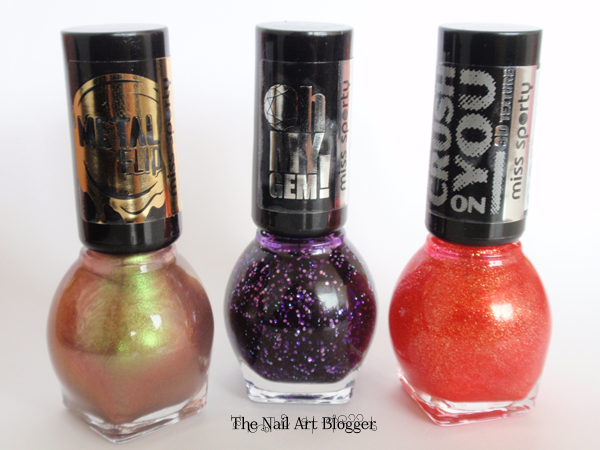 Like I mentioned earlier, I bought 3 polishes which I didn't have, and found interesting. Each bottle contains 7ml of polish. The brush is flat, and has long bristles that are round at the tip. That gives a nice control when applying the polish around the cuticles. 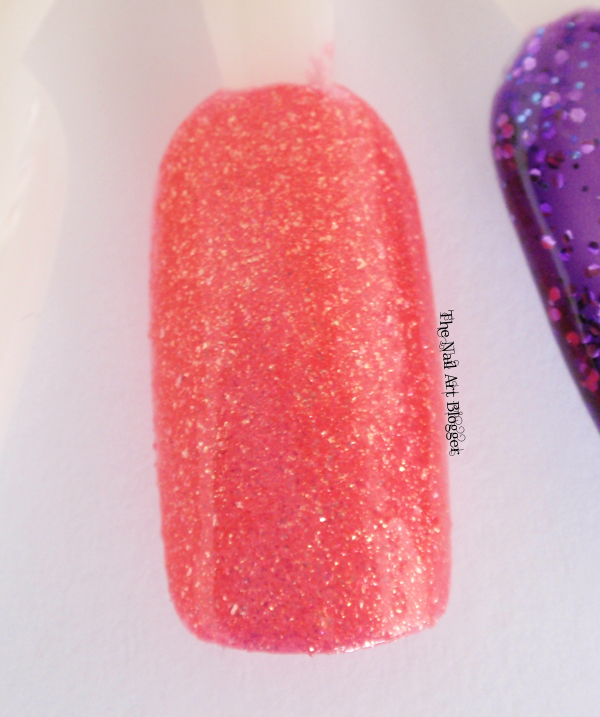 The first one I want to show you is 003 Be a Star from the Oh My Gem! collection. First of all, I'm absolutely in love with the shade of purple this polish has. 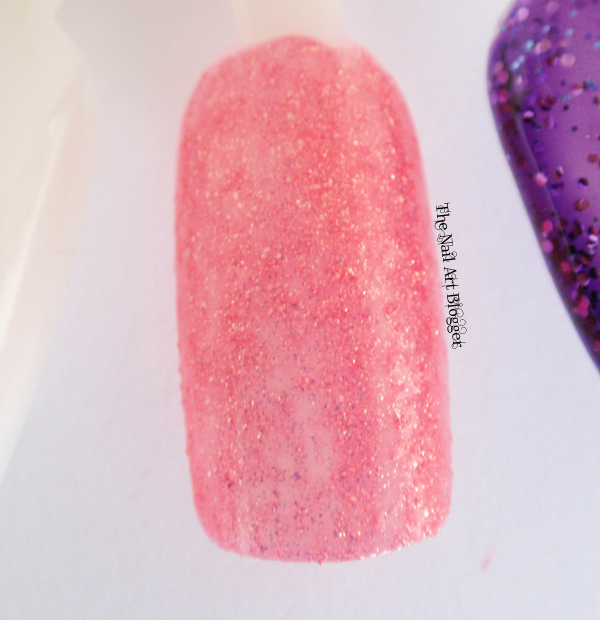 The bottle is packed with glitters, and thus they shine inside the bottle like tiny gems inside the polish. I decided to see how it layers up, kind of to determine how many layers do I need to do until I get a satisfying finish for myself (be it opaque, or sheer). I ended up with three layers, and here are photos of each. I usually don't like to have three layers of polish on my nails, because with nail art you end up with a thick stack that takes forever to dry, and ends up with dents and scratches by late afternoon. But for this one I think three layers is the maximum I would go. 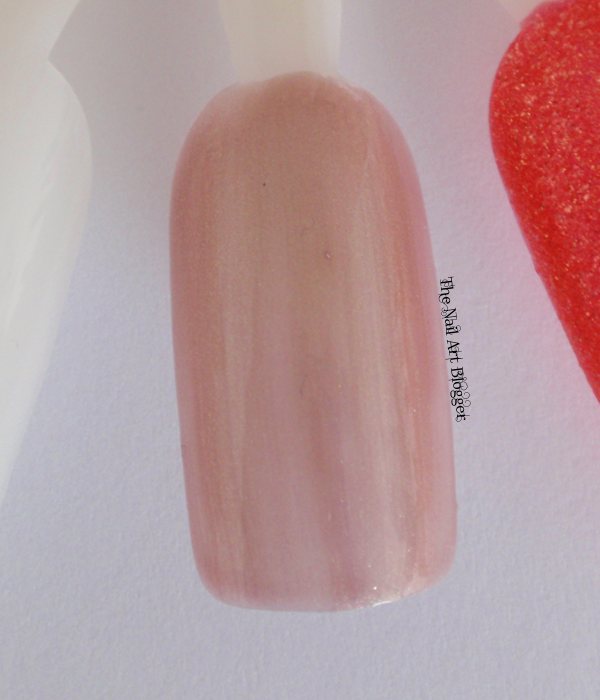 The polish itself is on the thin side, so when layering it, I didn't feel like it was getting as thick as my other polishes do by a 3rd layer. So this was a major plus point for me. 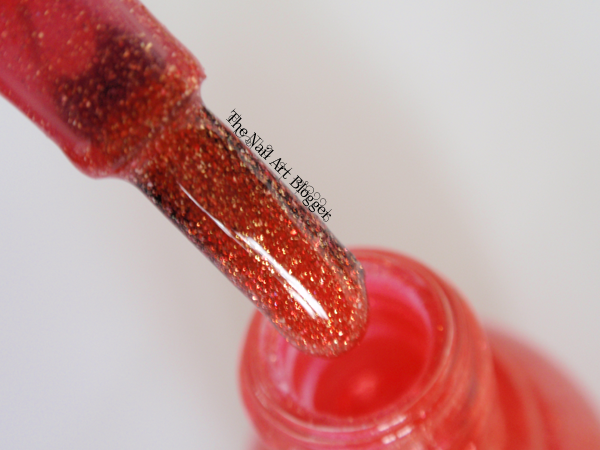 The next polish I want to show you is the 063 Red Fusion from the Crush on You collection. Those polishes are called 3D texture polishes, which basically means they're sand effect polishes. This was the shade that I had seen photos of online, but I didn't remember a name or number. I didn't even remember that it was a sand effect polish! I could only remember the color and the shine it had, and so when I saw it, I just put it in my basket because I wasn't going to think twice about whether I was going to get it or not. This nail polish is very shimmery. I would dare to call it glittery, but then I might be wrong. But it's SPARKLY! 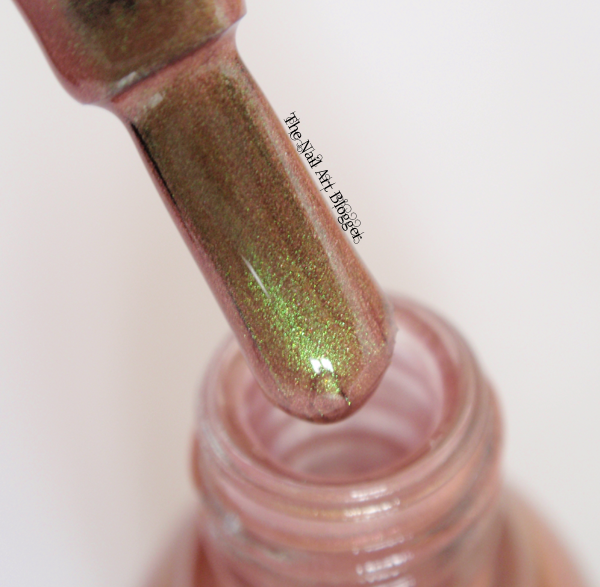 And sand effect polishes with visible sparkles are my only favorite of that kind. Like the previous one, I used three layers of polish, and made photos of each layer. This one is also a winner in terms of thickness and drying time. The polish applies very smoothly, and it doesn't clump up or create streaks when going over it while it's still wet. I like that a lot in a polish. The last one I want to show is 010 Beetle Wings from the Metal Flip collection. 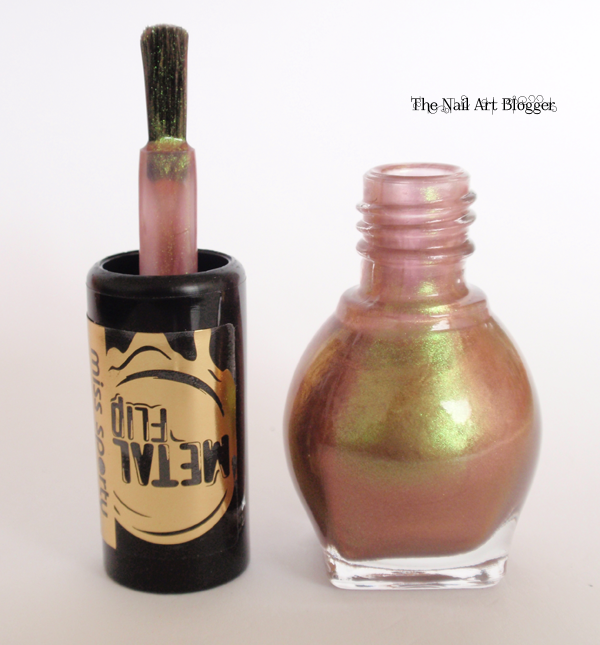 It's a duo-chrome metallic polish consisting of pink and green shades, with the green tone overpowering a bit. 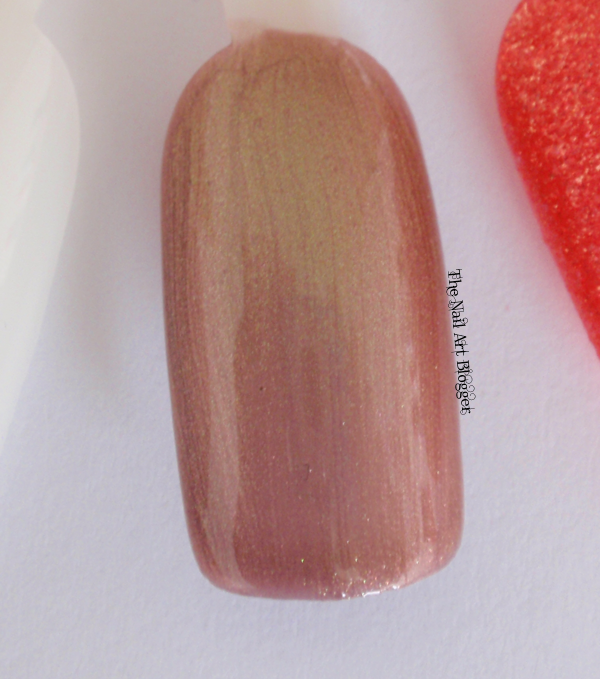 It's a lovely shade that can be used on it's own, or in combination with nail art. The application of this polish was so smooth. It doesn't streak, and it becomes opaque by the second layer. But just to be consistent with the other two shades, I did this in three layers as well. I'm very pleased with all three of those polishes. They apply very nicely, cover in three layers but don't feel thick. They dry quite fast, and I have the feeling I will be using them quite often. Either on their own or in combination with nail art. 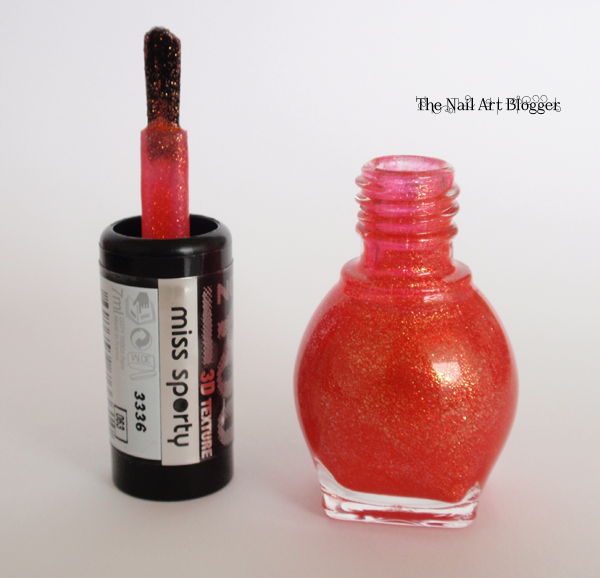 The Miss Sporty polishes retail for €1.99 at Etos in the Netherlands.